Beaconsfield Cricket Club is steeped in history. Founded in 1825 the club has in recent years been located at the beautiful Wilton Park ground. It celebrates its 200th anniversary in 2025! 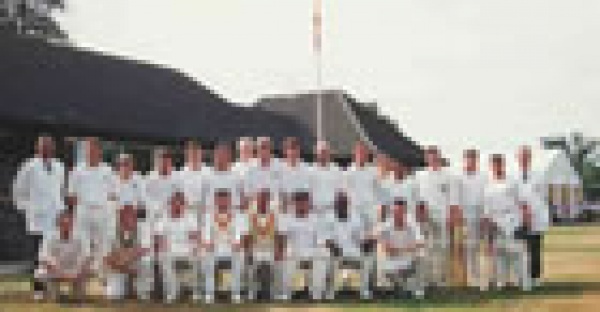 Beaconsfield Colts were the first Colts (juniors) club team in history to have played the MCC in 1996 when celebrating 50 years of Colts cricket at the club. A Lion rampant with one paw resting on a Fleur-de-Lys (the Du Pre family crest) in Scarlet and Silver on a Dark Green background.